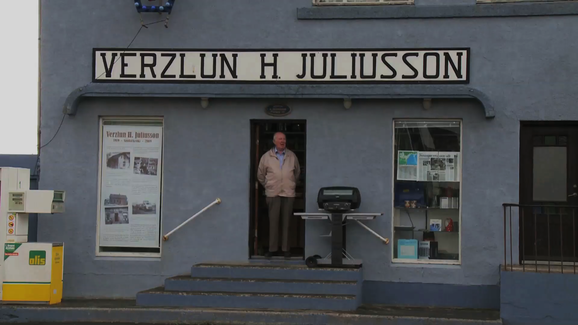 The small shop Verzlun H. Júlíusson in the town of Sauðárkrókur located in North Iceland. is not just a small grocery store but so much more. It is the last one of its kind in Iceland. Everyone entering the shop travels decades back in time. 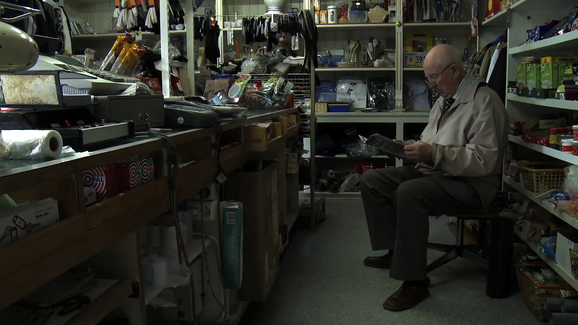 The 83 years old shopkeeper Bjarni Haraldsson sells a little bit of everything but hasn’t changed much in the store that was opened by his father in 1919. Most of the furniture in use dates back half a century as well as the old scales. 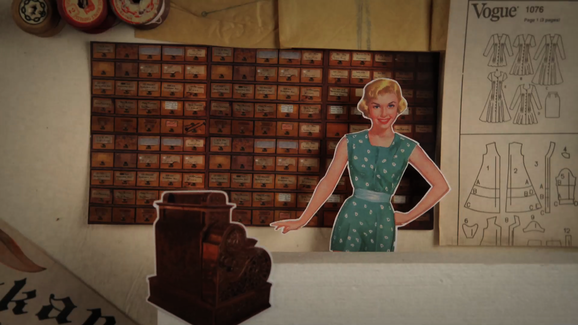 One can buy everything from tea pots to packet soup, working pants and hinges to batteries, screws, and lollipops. Bjarni still serves customers, day by day. He chats a little bit with them and eventually goes hunting for something they might need. Bjarni tells stories about how grocery shopping used to be in the old days. Back then, foodstuffs didn’t come pre-packed but were simply poured into drawers in the shop. 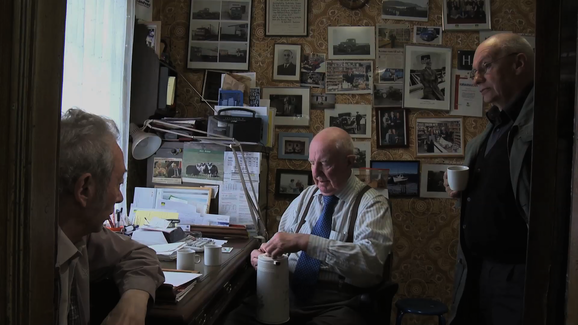 We also get to know Bjarni’s friends, old men who come to the shop to drink coffee together and have a chat. 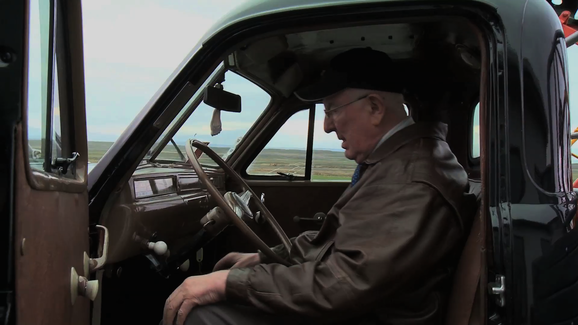 They tell stories about the old days, about drinking alcohol and driving nice cars and take the viewer on a nostalgic trip. Bjarni’s family as well as neighbors are also introduced. 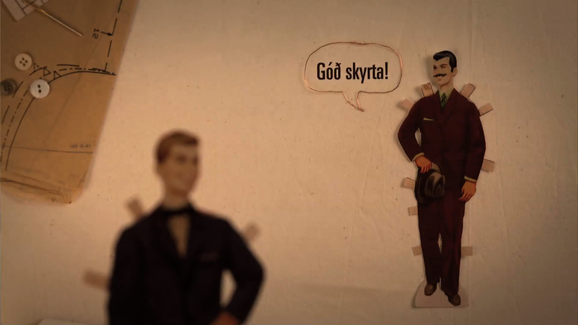 Bjarni brings us back to the times when people had time for others, helped each other and listened if someone had something to get off their chest. 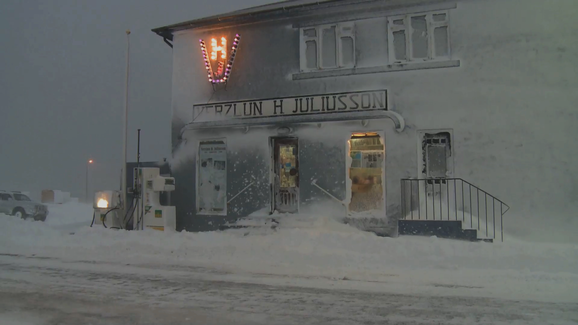 The Shop is a delightful, funny and lovely film that warms your heart and takes you back to the good, old days in Iceland. 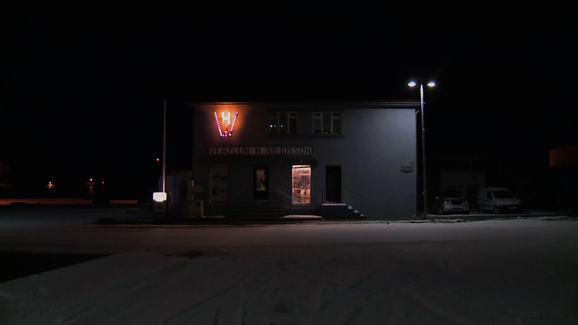 Icelandic Film Centre, Menningarráð Norðurlands vestra, Menningarsjóður K.S.